I have been privileged to be part of some major enterprise transformation processes over the past decade that have taught a lot about how do you actually enable and enforce change for customer centric, holistic, agile and innovative corporate culture. In the business world we are living in today, brands are created with customer experience and corporate culture. The capacity to serve customers in an omni-channel world the way they want to be served is becoming a competitive requirement instead of being an advantage.. This can not be done with silo organisation with responsibility barriers, split budgets, strict hierarchy, fixed roles and waterfall development processes. Those things are true status quo traps that will eventually kill any business sooner or later. Just like Jeff Gothelf and Josh Seiden, the authors of Lean UX -book, I got fed up with cases that were perfectly planned but never implemented or the implementation was too far from the plan and naturally didn’t deliver as expected. I’ve also grown out of creating strategies and roadmaps and moved to actual change making. I really love Lean UX. Lean Start-up- and design thinking adjusted to established enterprise environment. Solving real problems, creating customer insights, direct applications and implementing them asap is much more rewarding for everyone involved than just designing the change. Getting results fast accelerate learning, inspire innovation and motivation beyond anything else. The gradual change is also much easier to manage than a complete turnover at once. Outside-in > understand customers and markets first, then look at your offering, customer interfaces, brand, invoicing, agreement processes, up-sales, cc etc. Be honest and learn. Who are the customers, what are they doing, how and why? How does this customer behavior show in your customer interfaces, what are the most important pain points and frustrations customers have and what can you do about it. Once you have the facts, you can see how you can extract painpoints by re-designing the customer journey experience across customer interfaces and how that will reduce costs to serve while also improving NPS. That has a direct bottomline impact. Also, you can recognize opportunities that will help you sell more effectively, improve conversion rates and thus drive marketshare and sales up. When you have understanding about the customers and you can define Customer relationship-, Customer experience vision, set goals and recognize their impact to revenue and bottomline. The Customer interface and customer analysis becomes the roadmap for better and enables a shared language thru organisation. Everybody can agree with the facts and understand their own role in the customers’ process. The discussion is around customer behavior and going forward, it’s not about blaiming anybody for their decisions in the past. The mandate for change comes frome the customers and dictates what needs to be done. This is why everyone can agree with it and don’t lose face or feel the need to defend prior decisions. In every single case this first part has been capable of igniting inspiration, trust in own capabilities to do meaningful changes and realize them. Insights and understanding create momentum that makes it possible for a company to change fast in a meaningful way. This change is done because people love it and their hearts and minds are burning to make an improvement. It’s not done because management has told employees to change or because the management team has come up with new organisation chart… This route to transformation can be rapidly implemented and the results are quickly at hand. These results justify futher improvement. It has been interesting to learn, how much silent knowledge, un-tapped knowledge and supressed passion can be found in any given organisation. This capacity can only be realized by deploying the change within the organisation. This is why outsourcing the planning is not a good idea in my opinion. Carrying light inside with a bag doesn’t help, you need to light up the people. Once you release that passion and knowledge in constructive way, it will change the organisation permanently. The way of working will change, it will improve job satisfaction and willingness to push the limits further. At best, it will create a positive cycle for competitive advantage and growth. 2. 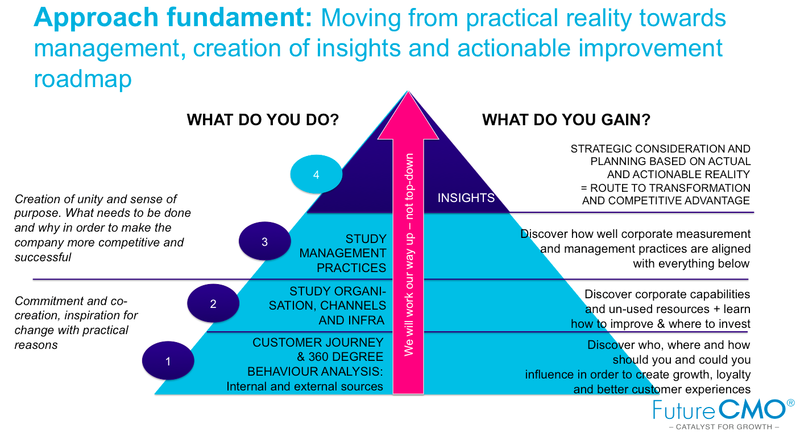 The next stage is about turning insights and understanding in to systematic Way of Working. This is actually very practical consideration about recognizing responsibilities, ownerships over larger entities, creation of KPI’s and information flows or designing the approach to commercial management in general. Often there are factors like scorecards and conflicting interest in the organisation that need to be fixed, rewarding mechanisms or silo cultures that just need new perspective and solving. Very often dysfunctional organisation has everything in order on the surface, but multiple little things that paralyze the operational engine, innovation, productivity and motivation. Sometimes management isn’t even aware of such issues that could be historical relics that should have been solved ages ago. What ever there is in the way of working, the new perspective gained in the first stage will help in finding solutions to them. The work is done gradually case by case and the excitement and positivity for change gradually take over the entire personnel. At this point, the company should reach a positive cycle that feeds winning mentality, job satisfaction and capacity to innovate. 3. 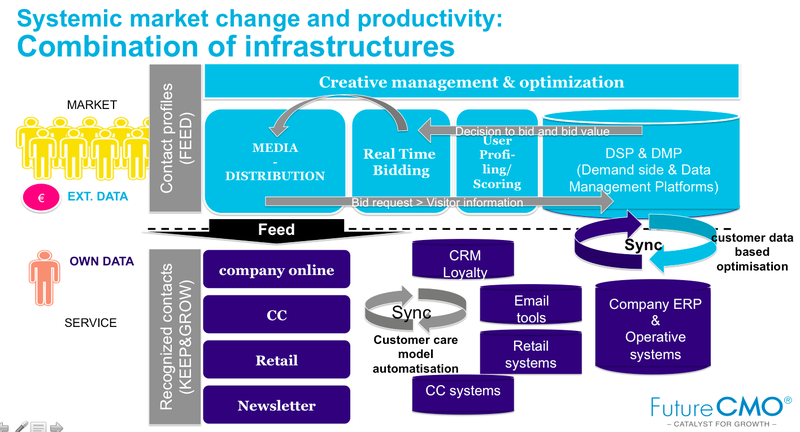 The first two stages have already revealed the challenges that can be found from systems architechtures and platforms. While the first stage already enables major improvements with UX design and coding, the platforms enable strategic development and automation. This naturally takes more time and is different kind of project, but by this time the needs, benefits and requirements should be selfevident. As the learning has already started at frontend level, the understanding about available business benefits should also be clear for decision making and investment planning. customers feeling that there isn’t enough substance behind those promises which could damage the brand and destroy the momentum that would have been available. Like anything that has to do with people and emotions, these are delicate matters and require consideration. In order to do things successfully you need to have a clear plan but it has to be flexible enough so that it can be deployed in right order. The concept of loyalty is a very profound human emotion like love and trust. Loyalty is an outcome of shared values and experiences, forged with time. It’s not a fling, its about integrity, trust and dedication. Loyalty truly is the holy grail of brand relationship even in the interactive digital marketplace. When we think about loyalty between people, we know that it takes a long time to develop such deep feeling of trust. The same aspect of time certainly applies to brands too. Brands are concepts you can see, feel and experience, even have a dialogue with via customer interfaces and people representing the brand in question. Well, think hard and consider which brands, products or services are you loyal to? I would imagine there are some. Then think, which brands show genuine interest in you, making your life easier, helping you, respecting your wishes, sharing your values, trusting you completely. Can you think of any? Companies are quite good at “doing things right”, professionally and operationally delivering what is expected from them. The superb quality of certain product does create trust and loyalty as such due to rational and emotional consideration. This is especially true when your life could depend on that product. On the other hand companies are not that good at “doing the right thing”. Doing the right thing has to do with a context of engagement, feeling of fairness and trust. If your phone breaks a day after the guarantee closes, what does the company do? In case you have bad luck and you fall behind you payments for some period of time, what does the company do then? If the company has a choice between 10% higher profit margin and environmental or societal benefit, which will they choose? There is a lot of data that shows, how profitable “doing the right thing” actually is in case of reclamation. When you do the right thing, listen to your customer, pay attention and do your very best to make things right, the customers reward such deed with their wallets and hearts. So, my advice for brands is coming straight out of the Bible, Matthew 7:12, The Golden rule: “Do to others whatever you would like them to do to you.” This truth is eternal and applies to Brands on- and offline just as it does to people. Loyalty truly is a concept that takes time to evolve and it can only be earned over time. Most loyalty programs don’t deliver brand loyalty, really. That is due to the fact that people have all loyalty cards and they pick cherries from where ever they happen to find best offer at that point in time. Points based loyalty programs are often buying loyalty from customer. You get more discount when you buy more and you get offers only available for members. Loyalty can be completely rationally driven model that create a behavioral pattern for customers to buy when it’s cheap. Naturally, they don’t if you don’t have an offer for them. In the open online market its very easy make comparisons. Most often, members also get bulk messaging in which there is nothing personal. A membership equals the license to sell. Selling is often positive. Customers consider selling as active relationship in which the company is offering new services and value for them (servicing by selling). Buying several products or services from a single company generate stronger relationship and lower attrition probability. Everything above is basically positive, better than no program. However, when customer relationship is based on rational decision, another company with more aggressive approach can do considerable damage. Emotional loyalty has to do with the true concept of Loyalty. Brand as a whole has its foundation in customer experience, quality, integrity, service, ethics, trust, corporate responsibility and values. If the brand feels right for the customer he’s less likely to consider competitors. Also, the loved brands become part of customer’s own identity and they don’t lose customers without warning. If customers truly love your brand, they let you know if your pricing or position is having a strong challenger and they actively ask your approach to the situation. Emotional loyalty is not price driven. You can have healthy margins and customers accept it. In such a position customers also offer their helping hand and are much more open to participate in open innovation or co-creation dialogue or giving you advice how to improve your service even further. In current business environment there’s too much of everything all the time. It’s very difficult to differentiate yourself by offering or pricing. The truly emotionally driven approach to loyalty is to consider how the company can show it’s loyalty towards customers. How do you take care of your customers? How do you make certain that the value you are delivering to your customer becomes even higher? How do you solve problems that your customers have? In most businesses there comes a time when customers re-consider whether to buy the same brand again or to buy something else. If the customer is involved in continuous relationship it requires active sign-off from the current relationship. If you can turn single purchases in to continuous relationships in any way, you are likely to drive much higher loyalty. That’s the best part. Once the customer is engaged in continuous relationship it requires time and effort to close it. The bigger the required effort is, the less like people are to go thru with it. Some of the best psychological themes for loyalty are laziness and minimizing points of discontinuity creating experiences like billing. One of the great ways of improving loyalty is allowing customers to have automatic payment methods directly from account or via credit card (eg. Netflix and Spotify). As a result customer does not get direct invoice for the service delivered but it’s included in credit card invoice or directly paid from account. Attrition probability drop is quite significant with such a method and the relationships could continue for as long as the credit card is valid. When people establish behavioral patterns like reading a newspaper every morning, their likelihood of attrition is much lower. Habit based loyalty is really about keeping the status quo. Low profile and making certain that there is no need for active consideration for the customer enable very profitable type of loyalty. I have have been completely loyal to LensOn contact lens selling online store for the past four years. This is because they send me an email enabling me to repeat purchase with only two clicks. I didn’t even remember the brand, but in case I didn’t order instantly I would go back to my email and search: “contact lenses”. This search will bring me the email I am looking for and with only two clicks I’ll order new package of contact lenses. Because my credit card information is already stored in the service, this habit is extremely easy for LensOn to maintain. Another fantastic case of habitual loyalty is online banking. The first online bank was issued in Finland and since then the whole retail banking has changed completely. People no longer have a reason to go to the bank. They can take care of all their finances online. As an outcome people have become user interface loyal. Only in case of major need for relationship driver service, like mortgage, people would consider changing their bank relationship. Online banking is like electricity, as long as you get it when you need it, there’s no problem. If you don’t, you have a major problem. If the service keeps on going there’s nothing to question the current relationship. Online banking enabled huge cost cuts and automated service processes. Cost to serve is now marginal. Once online banking was introduced and became a habit for customers, the vast majority of customers became profitable. Banking margins and profits have grown and the profitability has increased without attrition. Customers are not necessarily loyal to the company, but person they are in a relationship with. If customers get imprinted to their counterpart and the person stays with the company, relationships could be very strong emotionally, rationally and habitually. Trusted person can be an enormous asset for a company. The online revolution has diminished the role of person-to-person relationships in consumer businesses. The role of brands and trust in service processes has substituted the void to some extent. It’s not quite the same but works too. The company’s customer interfaces and people servicing customers should still be trained to reach for such relationships. The brand is as good as the person representing it. Some major hairdresser chains evaluate their employees based on the fact, how many of the hairdresser’s customers book their next visit from the same hairdresser. This measure is beautifully simple and revealing. Being a great hairdresser is not just about the quality of your work, it’s very much about the whole experience. Especially women open up and discuss at the hairdresser. They could easily spend two hours with the hairdresser and spend a lot of money on the experience. It’s about being heard, appreciated and pampered along with getting your hair cut and dyed. Mobile operators in Finland suffered from very high attrition rates after number portability was enabled. Churn rates reached +30% level even though customers were very happy with their operators. This is a great case proving that customer satisfaction DOES NOT EQUAL loyalty. Customers want to have a new mobile phone every two to three years. The need to get a new handset created natural discontinuity to relationships. Mobile operators have an orientation to offer good deals for new customers and winning higher share of dynamic market. 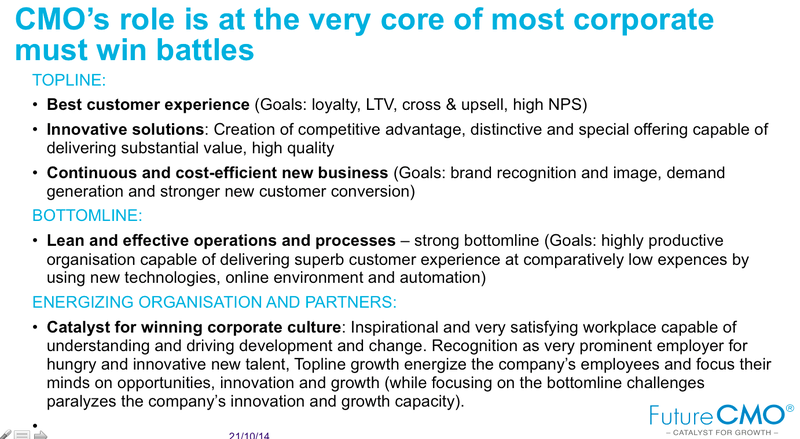 This orientation led to higher advantage for changing a company than staying with the current one. These operators had same level of perceived value and customers had rarely real preference. Most customers had only options that were equally good in general. Only differentiating factors were the brand communications and current offers. The operators started selling customers 12 month agreements, which offered lower cost calls in the evenings or weekends. These agreements sold quite well and led to lower attrition rates. Once 3G bundles were introduced they included 24 month agreement and were sold with handset subsidies. Against your 24 months agreement you got the mobile phone at about half price. These agreements dropped attrition rates below 10%. In other words agreements offered steady relationships and predictability. As a result mobile operators profits increased and people purchased more expensive mobile phones, which enabled major increase in the use of data creating completely new mass market. Everybody won. After the 24 month agreements ended, the attrition rates increased back to 15-20%. Although the attrition rate increased, they didn’t reach previously familiar 30% rates. Human nature is lazy and towards many product and service ranges, indifferent. In order to gain market share in a business like this brand has to actively sell and create discontinuity with sales. Electricity agreements are a great example of this. Very few people compare electricity pricing and actively change a power company unless it’s actively sold. When you get a call offering you -5-10% and the offered power is produced with water and greener than your current option, it’s easy to agree. Even better, the new company also close the previous deal so that the only thing you need to do is say ”yes” on phone. It is possible to surprise a competitor with heavy attack in a case like this. Unless the competitor has closed agreements for certain period of time, they are likely to lose a lot of customers almost over night. Who would start comparing for 5%? Very few would. Who would accept such offer when it doesn’t require any effort? Quite many will. Only thing hindering people to accept such an offer would be to tie them in the relationship with an agreement for certain period of time. What could you sell your customer to make him dependent on you? Structural bond is an interesting approach to loyalty and how to create value in which the customer becomes dependent on. When Polar Electro introduced their wrist top computers with heart rate monitoring they soon created online Personal Trainer in the end of 1990’s to supplement additional training advice for users beyond possibilities of the cadget in it self. Personal Trainer recorded all your training to a database and created record. It helped analyzing your training requirements and results very effectively. In the early 2000 this was a ground-breaking innovation. When all your training history was online, Polar Electro had a structural bond on you. If you wanted to change to more advance training tools, you had to buy another Polar wrist-top-computer in case you wanted to keep your training record ongoing. Currently mobile phones have same functions and you can use variety of platforms for storing your data eg. Samsung back-up, Apple iCloud or Android saving to Google account. These platforms effectively still create structural bond although some of them are now cadget independent and available to iPhone, Nokia and android. Still, Polar Electro’s Training Tool is an effective loyalty driver for everyone who has been using it for the past decade. The current rush to “internet of things” will produce massive offering of services just like Polar Electro’s training tool. As this market is only just opening, every brand should consider right now, how can they lock their customers in. Facebook also has a strong structural bond, your friends that are already there. When everyone is already there, it becomes very difficult to leave and completely stop using it. It is also very challenging for other services to get really active users, because Facebook is a strong habit and it holds your entire social life and has become big part of yourself – part of who you are and how you represent yourself to the world. No matter what you do, some customers will leave eventually. Still, applying effective win back strategies could diminish negative churn. One telecom company actually managed to win back 80% of already lost customers. Win back operation was probably the most profitable function the company had ever created. Just one more advice, when you are trying to develop your company’s customer relationship excellence, you can’t just look at the customers who are happy and satisfied. Their responses will only strengthen the status quo and hinder innovation and adaptation to changing business environment. Lost customers on the other hand are a great source of insight and improvement advice. Any information that help you predict discontinuity, increase the probability of re-purchase, or shield customers from competitors influence and decrease retention clearly increase profitability. Loyalty certainly is something worth thriving for. Just remember the Golden rule when you are making choices – even though you work in the interactive digital market place. First: You need to have goals and vision. They act as a unifying master plan that everyone in the company can understand and accept. What kind of brand are we trying to create? What kind of customer experience and and relationship are we trying to deliver and earn? What kind of impacts are we trying to get? 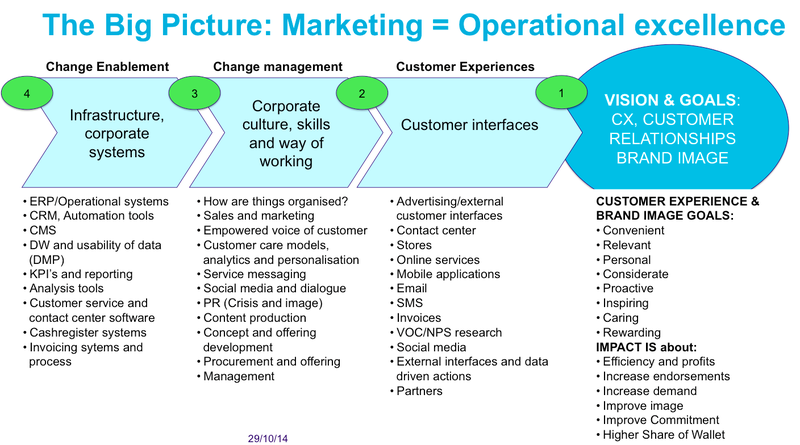 Third: You need to take a look at how does your company actually operate and how is it managed. Does your current ways support and enable the customer interface operations that you are trying to achieve. Are you organized right, do you have right kind of KPI’s, are different diciplines and silos working together or do you lose insights between gaps and inevitably cause corporate autism? Fourth: Does your corporate infrastructure enable everything mentioned and planned above? Do you have legacy systems and technology, disconnected data etc. In case the technology and infrastructure doesn’t enable the change, how do you take action? What kind of roadmap and investments are required? What can be done fast, what takes more time and effort? What can be piloted and can you start the learning curve growth with some manual work that enable more effective technology implementation? When I have been running these cases I have learned that this approach works very, very well. The reason is that everyone is involved and the process in it self actually enhances the learning and feeling of unity, shared goals and willingness to change. This is because the process inspires, makes difficult theory work feel practical and easy to adopt. Very often the process generates several small victories and improvements that can be implemented immediately. The good experiences start building up and people get the feeling that these things are really happening and we are really doing something meaningful. Once the plan is ready, the organisation has already moved several steps to the right direction and has become excited about the development. For the management this is extremely valuable situation, because they can just enable what the organisation is asking for instead of trying to order and manage changes top-down. This is how I see the brand development in this day and age. Do you agree/disagree? Would you have any cases, experiences or hints how I could develop this approach further? There is a lot of everything. Customers instinctively make their lives easier by using their mental shortcuts, heuristics, in order to make sense of the surrounding wealth of messages and impulses. The position a brand holds in the customer’s mind connects it to certain attributes, contexts, values, benefits and purposes. Actually, our brain gives an emotional tag to every single piece of information before entering our conscious mind. Branding is about training customers’ brains and winning certain position in their minds. This is why it takes a long time to really gain a meaningful position as a brand. That’s also why brand extensions are not a certain success, as the position the brand has in customer’s mind only consist of certain learned connections. Because of these reasons I would define Brand as a position in the customers’ minds. During the past decade people have also learned to use brands as their road signs when searching for products, services, solutions, ideas and inspiration. For example in travel and telecommunications markets the number of category searches has dropped, while brand searches have increased. Instead of searching for smartphone or holiday, customers search operators, smartphone manufacturers and travel agencies by brand. To people, brands stand for direct access to information they are looking for. Such behavior makes the top-of-mind position even more important than it has been before. Smartphones or 4G are minimal interests, while Samsung and Apple have strong demand. 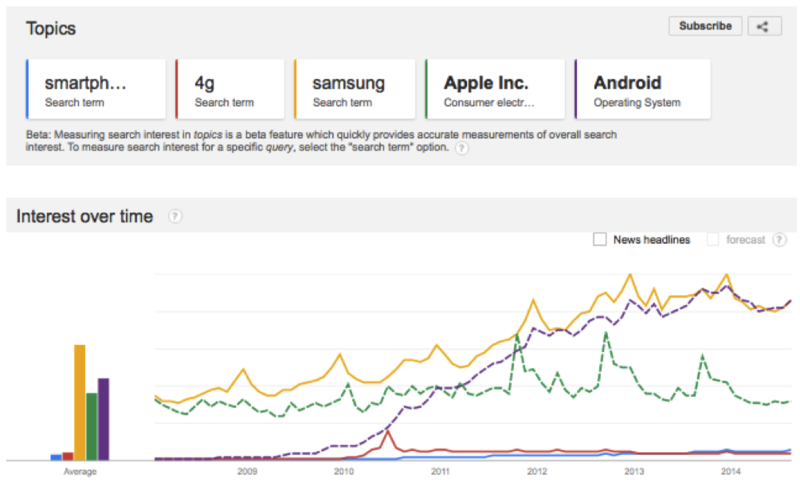 The data also shows how Android has become a brand on it’s own and has an even stronger demand than Samsung has. When customers do buy a product or service they have certain expectations for what they bought. Depending on how well the brand meets those expectations, it influences the customer’s personal experience and view on the brand’s performance. Value for money experience is a very important measure for a brand and shared experiences influence the brand’s Net Promoter Score directly. Performance should be measured through the customer’s entire relationship with the brand, across every single experience they share. In my opinion we should include PERSEVERENCE as part of the performance. The customers expect you to stay interested in them and continue to deliver high value. One-shot experience is not enough, no matter how good it is. The real performance must be proved over time also in case of product failure or other unexpected events. In September 2013 HBR published an article: “The truth about Customer Experience” by Alex Rawson, Ewan Duncan, and Conor Jones. In their experience, most companies measure customer experience by touch points or single engagements. Such an approach will tell you how did that single engagement meet customer’s expectations. It does not say anything about customer’s satisfaction over time. In case this is the only mean to measure performance in a corporate KPIs, it will create an illusion of performing well. In their article, they proved the declining customer satisfaction over the length of customer relationship. When you think in terms of performance, you need to continuously improve your service, in order to keep your customers happy. In my Customer Journey studies I have also learned that, the reasons why customers choose to buy a certain product, or a service, are not necessarily the same ones that will keep the customer happy post purchase on a longer term. 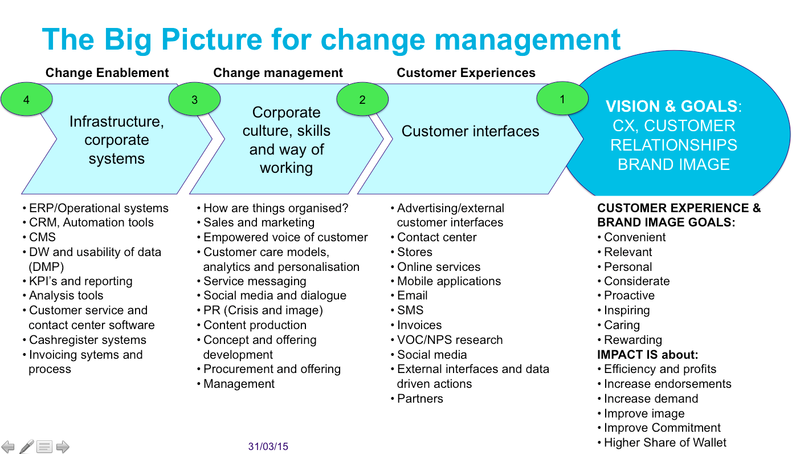 Performance measures are also changing the marketing as a practice, changing management and the ways of managing change. Today, everything can be easily tested in small scale, scaled to global level and measured in real time. The marketing practice has been measured with rather elusive figures like top-of-mind, preference, awareness and attributes until recently. Now marketing has become an actual business unit that should have a business plan, revenue forecasts and profit expectations. This is finally something that other members of the board understand. This is why the marketing as a practice is moving up on the corporate power ladder. Corporate management is already expecting CMO’s to take responsibility for corporate digital transformation. In my opinion the creativity factor associated with marketing function has more potential in this new order than ever before when its performance is measured right. When customer understanding, creativity and performance metrics are connected across corporate strategy and operations, possibilities of developing business, competitive advantage and brand become infinite. We just need to follow the path companies like Tesco, Apple, Google and Amazon have opened for us over the past two decades. In that time the technology and ecosystem developed to its current level of sophistication and accessibility allowing us to join in and follow the paths these giants have already proved effective. Proximity is a synonym for distance. In order to create trust and relationship with customers, brands need to get close and personal with their customers. At best, you can talk about customer intimacy and connecting the brand to people’s self image. We have a chance of having a dialogue and become a part of peoples everyday life via different channels like Facebook, apps, online services, even external bought mediums at personal level. Although the Internet and all it’s applications have a lot to offer, PEOPLE belong in this category too. Person-to-person communications are the primary way of connecting and even getting imprinted to the brand. People and corporate culture represent the brand in human form. The old truth about brand being as good as its salesman is still true. Customers meet people while making their choices, have support needs or they want a reclamation taken care of. People are the very core of trust experience and in many businesses customers imprint on people serving them. In such cases the brand experience and loyalty has it’s foundation on personal relationship: it’s not about B2B or B2C, it’s about Human-to-Human. The current view is, that those companies that best connect their physical experience in an omni-channel world will win the hearts and minds of their customers. In my opinion the Apple Store concept is one of the best examples of creating a strong human interface and online customer relationship together. 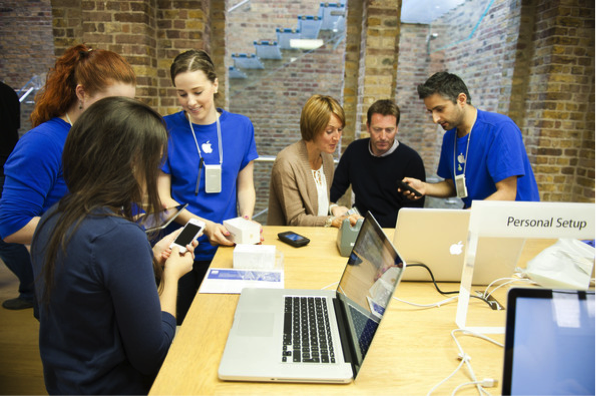 The experience at Apple store is that all employees are there for you, concentrating on your concerns and help you with your needs. There are often more employees than there are customers, which just stands for Apple’s priorities. The store is a place for brand experience and it is not measured by sheer efficiency like most other stores are. Price used to be a rather fixed figure. In this age price has become a rather elusive measure. The new approaches to pricing are about yielding models and price variety between customer segments or distribution channels. There is one price for me, and another for you, although the product and the seller are the same. There is a price for me right now and another tomorrow. Online environment has made it possible to democratize offering and make pricing transparent by using aggregators and comparison services that find prices from different sellers and present them in one single view. This kind of approach has democratized the marketplace, because the aggregators only show certain comparable basic functionalities and push the brand further away from the customer. This approach has increased the meaning of pricing volatility and transparency. People on the other hand love such services, because the offering with large selection, customer reviews and low prices can be found and bought from a single location fast and conveniently. Actually these players like Expedia that is offering Hotels.com, expedia.com, Trivago and those alike them, are creating direct relationships with customers and effectively drive prices lower (and their profit margin higher because they effectively own demand). Smaller players, who have less known brands but can offer services and products at lower cost, can access demand and challenge better known brands due to this logic. The demand for lower prices is growing and now it’s also connected with certain brands known for their low prices. In January 2014 Amazon reported that its’ more than 2 million marketplace sellers sold more than a billion units globally. In their annual report Amazon also reported higher profit margins, because everything they sell in their marketplace generate pure profit. Amazon, like big brands, have the demand, selling other businesses’ products don’t cost virtually anything for them. I think that presence has replaced place on this list. In the digital era, presence equals availability and direct access to buying. Presence is a more flexible concept than place that is physical. Social media is a method of expanding presence across customers’ peer groups and generating recommendations, participation and coverage in general. 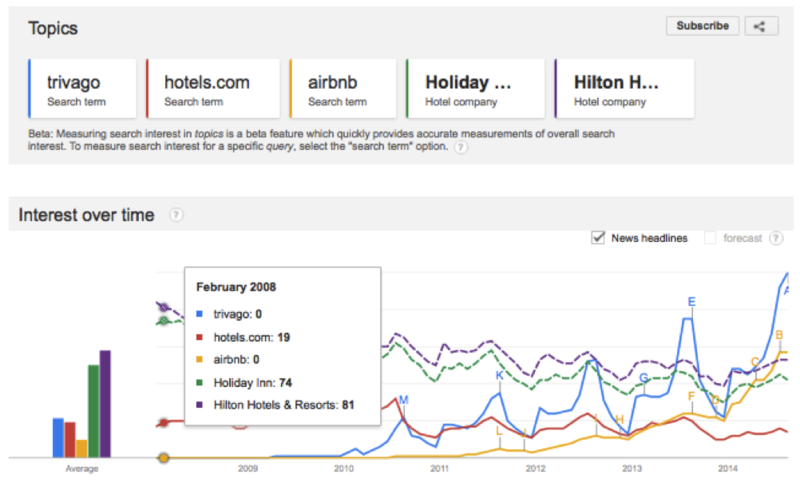 Aggregators also scale presence further. Customers will choose a brand among those present. 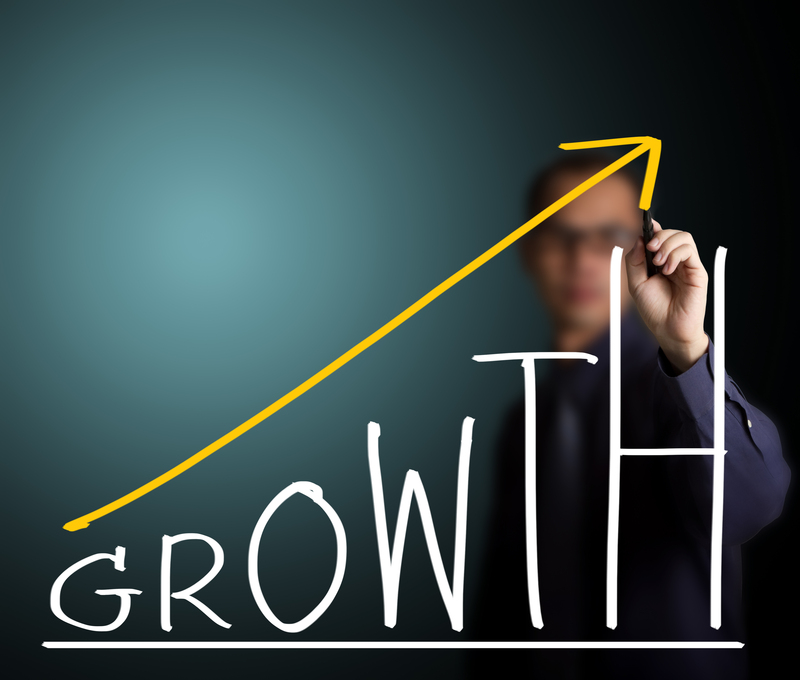 It is to say that expanding presence is likely to directly impact sales. Out of sight – out of mind, is the name of the game. When I have been studying Customer Journeys and customer’s decision making, I’ve learned that there exists a market segment of people who are at the state of “pending decision” or “pending action” in many categories, especially in case of consumer packaged goods. Let’s say that you, for example, need to buy a new toothbrush and you decide to do so. The decision is already there, but it could take months before you actually make the purchase. In such cases the sheer presence where customer makes the purchase increases sales even without any kind of promotion. The same logic applies in many other cases too. I have personally become completely loyal for a contact lens seller LensOn. They send me an email once my previous order is likely to be nearly consumed and I only need to click once to renew my order. They know me and their presence takes place at the right time inside my personal space. I consider that great service. Their presence is perfect – out of sight and not bothering me at other times, only serving me proactively when they know I need it. LensOn has effectively increased my contact lens spending, because I have not run out of them since my first purchase, almost four years ago. What makes the concept of Perceived product especially important, is the fact that customer experience about a product or service is firmly embedded on expectations. When expectations are really high, it is difficult to meet them. On the other hand low expectations are easy to exceed and translate them to endorsements. Perception has a major influence on brand demand and preference. Branding has everything to do with it. Important measures for promotion are reach and impact to brand awareness, preference, willingness to pay premium and convert sales. In the Internet age of overwhelming availability of data, own media has increased it’s capacity to impact sales tremendously. Search engine’s page rank can be improved, own customer data can be leveraged very cost efficiently and the relationship with customers can drive further reach with earned social media and dialogue with customers. In the current online centric customer relationships in which marketing and servicing merge as one single messaging, it’s increasingly difficult to define where the product or service ends and marketing/promotion starts. You could say that the core customer service and customer relationship processes have become promotional activities in the age of open online dialogue. Partnering influence reach and presence very effectively too. These new possibilities have diminished the role of paid mediums and increased promotional capacity and scalability at a low cost. Data driven marketing enable paid media’s role as an extension of customer relationship marketing even if the customer has never left his/her contacts. These were my 7P’s. In case you can agree with them, I’m sure you can also agree with this. Marketing used to be about making companies APPEAR to be better, increasing brand appeal etc. Today marketing is about MAKING COMPANIES BETTER. The difference between these two roles is so great, that it demands us to open our eyes and re-define marketing as a practice for the needs and opportunities of today.